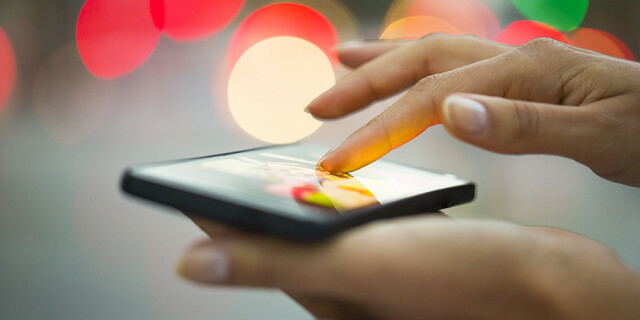 Home / Blog / How Are Mobile Technologies Changing Distribution? The way in which products are being distributed in the marketplace is changing rapidly. A main area of focus is the constant balancing act between managing employees and managing the operation. These kinds of responsibilities often keep owners and their managers bound to their desk instead of out where they’re needed most. Mobile technologies are providing a way to close these gaps and quickly becoming an essential solution in their toolkit. Data collected for Aberdeen’s Business Process Management: Looking at the Plan in the Mirror identified the top business drivers that impact wholesalers and distributors today with the need to innovate and update outdated ways of doing business as number one. A 2014 study of more than 250 logistics and supply chain managers by Peerless Research Group on behalf of Logistics Management magazine found that managing an efficient warehouse workforce will only become more critical. Specifically, Identifying and improving productivity gaps as well as refining real-time labor productivity and visibility were the top two workforce management issues they would seek to improve within the next 24 months. Mobile technologies will provide solutions for improvement in in all of these areas. The fast pace of a distribution center (DC) coupled with the complexities of dynamic customer requirements, new fulfillment formats and seasonal labor surges are ongoing challenges. Even if a company has a warehouse management system (WMS) or labor management system (LMS) in place, the printed reports and bulletin boards they rely on from these systems when they’re on the warehouse floor are often outdated at the start of a shift. The information is usually only available to them through a workstation or at their desks. This demanding environment requires quick access to information for sharing, verifying and altering order fulfillment tasks and other time sensitive operational data. Mobile technology immediately and accurately reflects work in the warehouse by wave, job function and activity which allows managers to better monitor, plan and forecast work in real time for improved outcomes. Easy access to this information is needed to drive engagement and productivity with warehouse staff on the spot where they work, not at meetings and performance reviews. When managers spend so much time tracking down reports, they lose the face time needed to properly coach and manage the performance of their workers’ productivity. Mobile solutions provide more information rich interactions with employees allowing managers to systematically record active interactions with their team, including tracking and measurement of employee performance. A Harvard Business Review found that the ability to show employees how they impact the business makes a big difference in employee performance, morale and retention. And engagement drives results. The new generation of employees wants to work for organizations that are tech savvy since this is the world they grew up in. Dealing with rigid software only causes frustrations and detracts these change agents that can bring the most innovative ideas to a company. Implementing the best technology and creating cross functional improvement teams enable them to drive modern solutions. Integrating business analytics, mobile access and social business capabilities with ERP allow these change agents to make even more informed and agile decisions, giving them the flexibility to work anywhere and communicate more effectively with their employees and colleagues. By providing mobile solutions, most managers are seeing the benefit of how it aids creative employees with the technology to support new ways of doing business. Managers also see the need to affect change in the flow of tasks and implement decisions. They need time to consider the best use of their resources, like monitoring outstanding tasks and making operational adjustments to reduce risk. 62% of warehouse managers say that lack of access to a computer kept them away from the warehouse floor and 58% said the need to review reports was also a driving factor. Introducing mobile work management capability opens up a variety of possibilities in how managers at all levels can better be notified, assess and redirect activity in the warehouse. Using mobile devices is a simple way to improve the relevance and accuracy of data. Managers are able to update information during an operational change and potentially reverse changes quickly to avoid work stoppages or process repercussions. Task reprioritization, release and reassignment activities and outbound tasks have the most benefit due to their high complexity and rapid pace. Mobile provides managers a single view of both work and productivity on the floor where they can correct actions immediately. Managers can shift staff accordingly with a better understanding of carton flow increasing throughput and improving customer service. Mobile solutions can provide value for every level of management in the organization simultaneously. A first line supervisor can see an hourly breakdown of an employee’s activity; a shift manager can see employee performance over a longer period of time; and an area manager can see information at a higher level. The ability to quickly review multiple degrees of detail allows for greater flexibility and wider adoption of solutions throughout the organization resulting in greater benefits. Viewing data about the workforce and productivity side by side, mobile helps to facilitate a greater context for all levels of management. Data collected for Aberdeen’s ERP in Wholesale and Distribution: A Logical Solution to Logistical Challenges identified the capabilities that are more likely to be implemented by Best in Class wholesalers and distributors. Top performers have implemented technology that is easy to use and enables innovative employees to work together more effectively. 23% of these Best In Class are more likely to enable users to tailor their user interface allowing them to view information the way that makes the most sense to them, whether they work in the back office, warehouse, on the road or with a customer. They have the flexibility to create different charts and reports that can help them think outside the box often complemented with context sensitive help and training for their business solutions. 101 domain coupon This can provide game changing access to real time data about people and work within the distribution environment. Best in Class are almost twice as likely to have real-time collaboration across departments and divisions. In addition, they are 72% more likely to have the ability to share and integrate data throughout the extended enterprise. This is a powerful tool that can facilitate organizational innovation, improved delivery practices and more effective communications with logistics partners and suppliers. These performers are also twice as likely to have ecommerce integrated into ERP enabling them to improve communications with customers, providing new ways to doing business. 90% of them are more likely to provide employees with access to ERP from mobile devices. The employee change agents are encouraged to access these new technologies and use the information in new ways to improve performance on the job. 46% of Best In Class companies have business analytics integrated into ERP. With this additional information, these change catalysts can create new formulas, simulate scenarios and predictions that add quantitative support to their innovative suggestions such as the ability to combine orders or alter shipping routes. While still in it’s infancy, ERP mirrors the social technology being used in the real world today offering a collaborative vehicle for ideas to be shared quickly and effectively throughout the organization. By integrating mobile solutions in the workplace, wholesalers and distributors can empower their employees, discover best business practices, identify more contemporary strategies, react more quickly and service their customers more effectively allowing them to remain competitive in the marketplace. Providing mobile solutions only proves to have a positive overall effect on the bottomline of any wholesale or distribution company. https://riverplateinc.com/blog/how-are-mobile-technologies-changing-distribution https://riverplateinc.com/blog/how-are-mobile-technologies-changing-distribution https://riverplateinc.com/blog/how-are-mobile-technologies-changing-distribution81% of DC’s say they currently use or have plans to deploy mobile solutions for managers. Clearly, this is the wave of distribution in the future.